In the search for more attention, more market share, better reach and global exploitation everyone is pushing themselves to be better that everyone else. 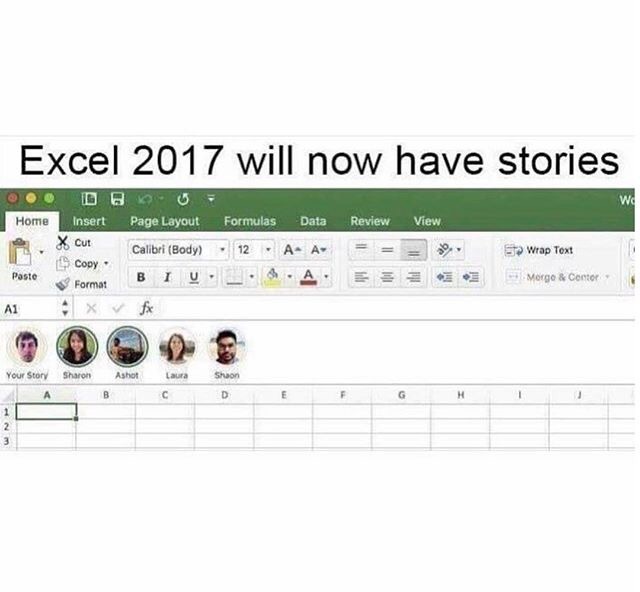 No excel are not doing stories like everyone else, although I’m sure the same people who simply copy everyone else would love to see figures vs what your physically doing. Reaching your target market is not about being like everyone else, standing out is not about price, it’s about being the best version of you possible. Long gone are the days when people want a “one stop shop solution” ( it’s almost considered a negative to even say it now! ) yet people and companies are still stuck in the late 90’s when boundaries were smaller and marketing and reach did not have the same mechanisms as it does today. Problem is majority of people designing marketing plans or marketing budgets are so ( excuse me for saying this ) OLD both physically but mentally and think Facebook is the go too tool! Information in and out is what needs to stream in real time, bloggers write about things happening literally while they happen, proactive business owners do the same 24/7 because it’s who they are not what they need to be. People buy relationships, not products and no one gets excited by a “me too” product or service, people get excited about creativity and originality. When you thought you were getting fine highlights!